I’m going to give my mum the credit for this one as she came round and made it for me! So yummy and so full wonderful nutritious organic fruits and vegetables and it really filled me up. Chop all the veg and put it on a plate then pour the dressings over and add a bit of Himalayan salt if you like. That simple! 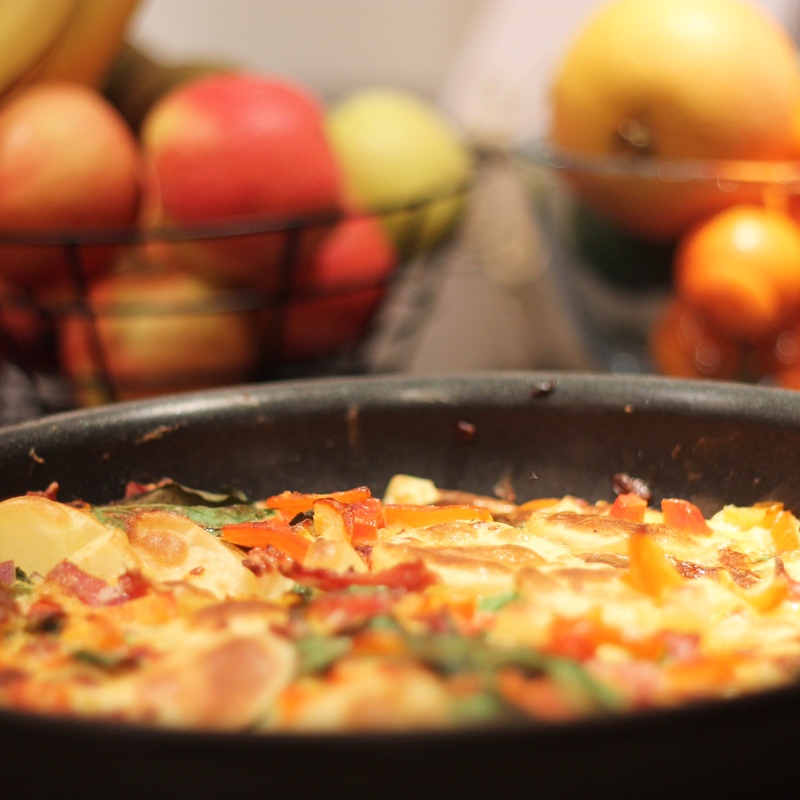 Another easy dinner choice, a variation on my last frittata. You can pretty much add anything you want to it – whatever is in the fridge and needs to be used. It’s one of those ‘Thursday night meals’! Boil your potatoes (already sliced) for no more than 5 minutes. Drain and set aside. Cut up the tomatoes into quarters, chop the mushrooms, roughly chop the parsley and wash and drain the spinach. Beat the eggs in a bowl, then add the almond milk, mustard, salt and pepper. Melt the oil or vegan butter in a large frying pan. Once hot, add the egg mix, then add the potatoes, pushing them down so they are semi-covered by the eggs. Then add the rest of the veg and do the same thing. Turn the heat to medium-high and let it cook for around 5 minutes. While it’s doing this, turn on your grill. Once the frittata has cooked on the bottom, put the pan under the grill for a further few minutes, until you can see it has cooked through. 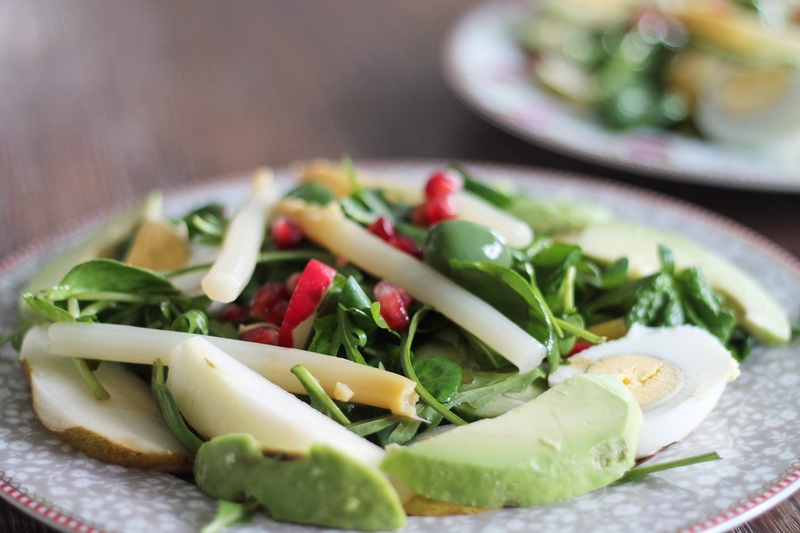 Serve with a crisp, fresh salad. This is a beautifully fresh smoothie for the last days of summer. The baobab powder intensifies the tartness of the lemon and provides many health benefits. Baobab is an eco friendly African product, which is high in vitamin C, antioxidants, calcium, magnesium and potassium. Poppy seeds are also high in calcium, magnesium and potassium, as well as iron, zinc and essential fatty acids. Add the vitamin C in the fresh lemon and you’ve got a smoothie which will help to bolster your immunity for the coming winter months.